Just popping in to share this fun (and super simple) project I did over the weekend. My kiddos headed back to school on Monday (a freshman and a senior, how did that happen?) and with the busy weekend filled with last-minute school supply shopping; a quick and easy project is just what I needed! I actually feel a bit guilty even calling this a project, it’s that easy. But hey, around here, we celebrate even the smallest of achievements, and this one definitely qualifies. 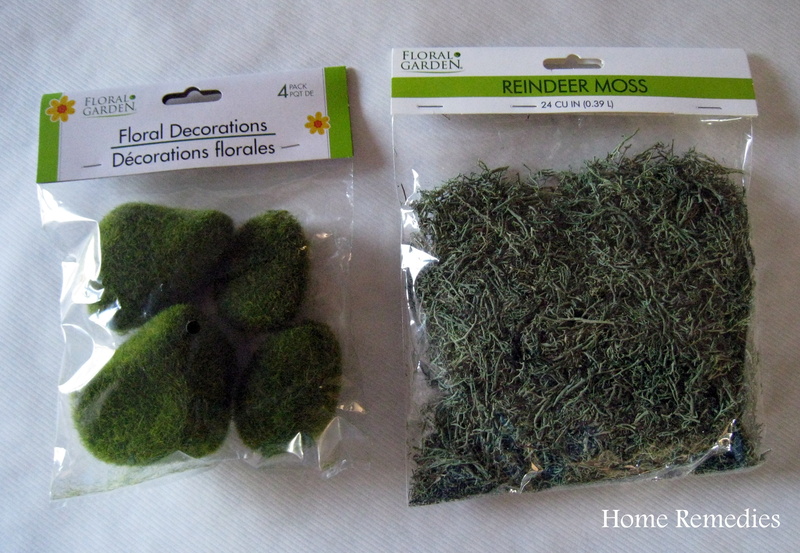 Anyhow, I picked up these faux moss covered stones and some reindeer moss at the Dollar Store a couple of months ago, and I’ve been wondering what exactly I’m going to use them for, when suddenly, (two months later) inspiration struck! Okay, it was less inspiration, and more I copied something that I saw in a high-end home decor boutique near my house, but hey, I did put my own spin on it, yo. 1. 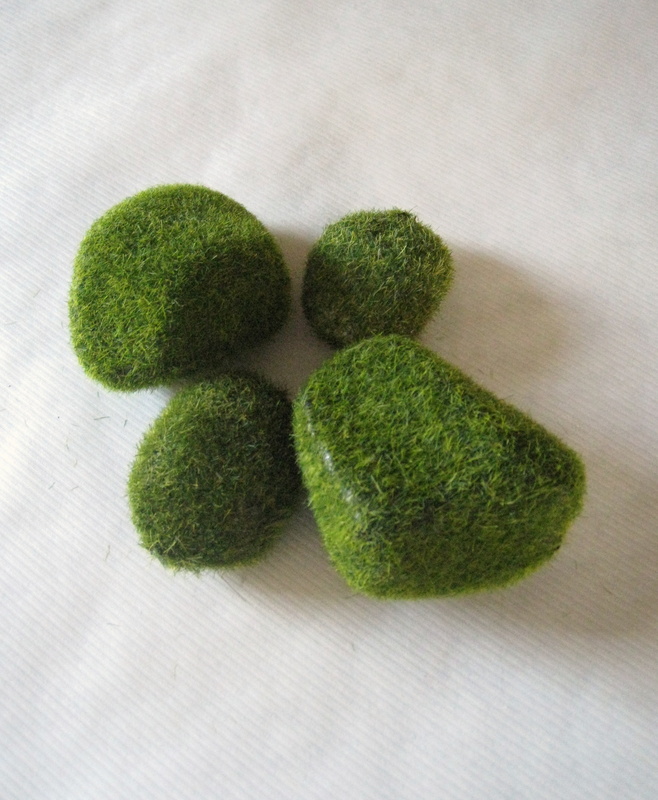 Gather your supplies – one or two packages of faux moss covered stones, one package of reindeer moss and the faux flower arrangement of your choice. 2. Stick reindeer moss into plant pot, around plant stem. 3. 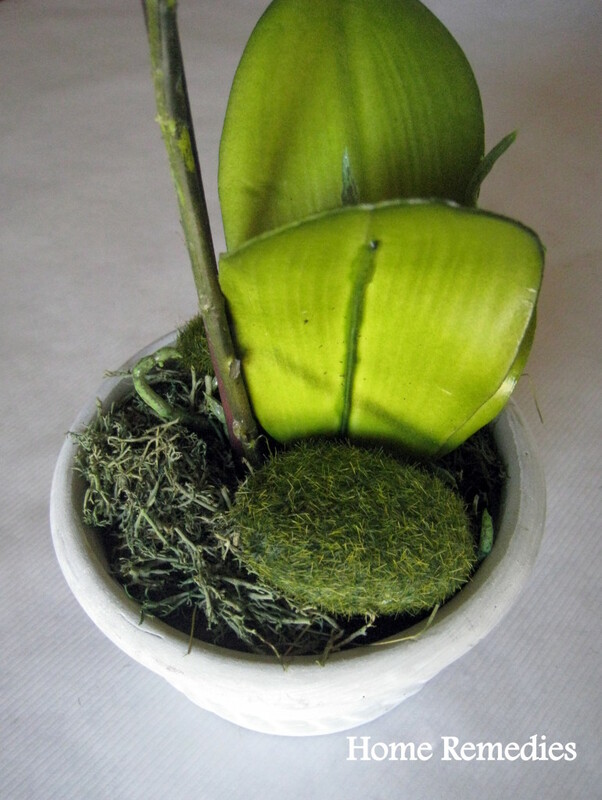 Place faux moss covered stones into plant pot, around stem. I used the smaller stones – but use whichever size works best for your project. 4. Arrange moss and stones to your liking. 5. Stand back and admire. I decided to get a little more fancy-pants and added some twig balls that I had on hand, for extra texture. You can even add shells, rocks, or fancier types of moss, like this one from World Market. Do what looks right to you. See what I mean? Easy-peasy. Now go get your moss-on. * No, this is not a sponsored post – just mentioning some stores/items I happen to frequent and like. Yes, this is really simple, but a great reminder how pretty something simple can be. Thanks for the idea for some new projects. I agree, Mia – simple things can be pretty! Thank you for the sweet comment, and for stopping by! I love those moss covered stones from the dollar store. 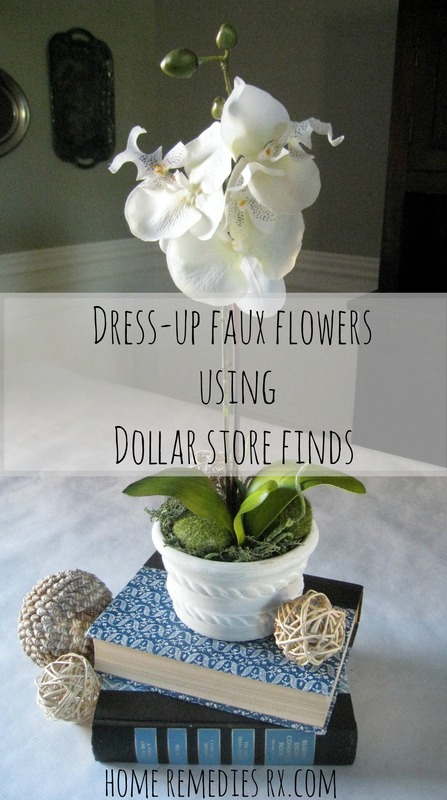 They really added a special touch to your faux flowers! Good luck with the kiddos getting back in school. Busy times! Thanks for sharing with SYC. So glad you stopped by, Jann! I love the way the stones added that “little bit extra”. Almost two weeks into the school year and my kiddos are almost back to a regular sleep schedule. Almost. This is such a simple way of making this look like you spent a lot more on it. 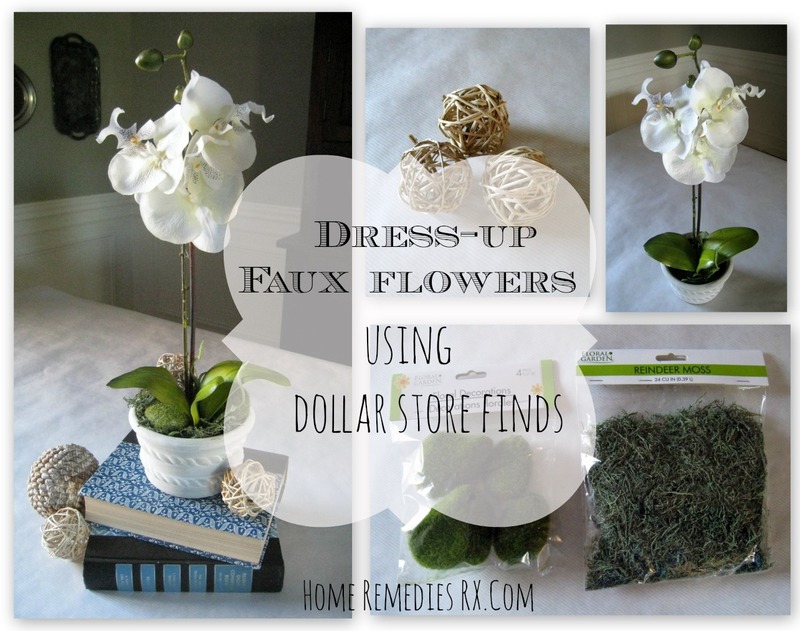 It is surprising how expensive a good faux flower is. Thank you for sharing at Friday Favorites! Looks great…I love the moss. Thank you, so glad you stopped by! Your lovely flowers look so much prettier with the embellishments you added! Thanks for the great tips. And thanks for joining Grace at Home–I’m featuring you this week! Thank you, Richella – I’m honored to be featured! Thanks so much for hosting! Wonderful idea! Thanks for sharing with the Merry Monday LInky Party! Thank you for the kind comments, Nicole! 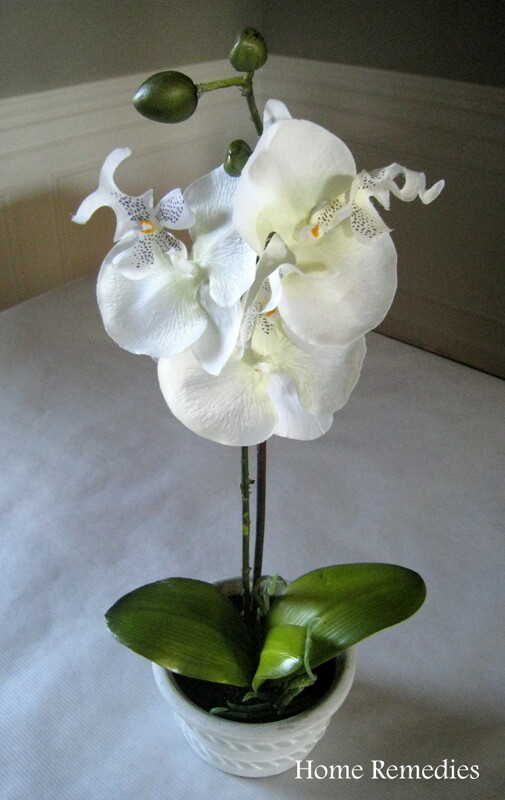 I love this and I am a bit ashamed to say when I was at your house yesterday I saw that pretty potted plant and from where I was sitting it looked like a real orchid. Now I wish I had asked you about it. Beautiful Amy love this and I will have to give it a try. Such an easy and inexpensive way to jazz things up… Thanks for visiting!